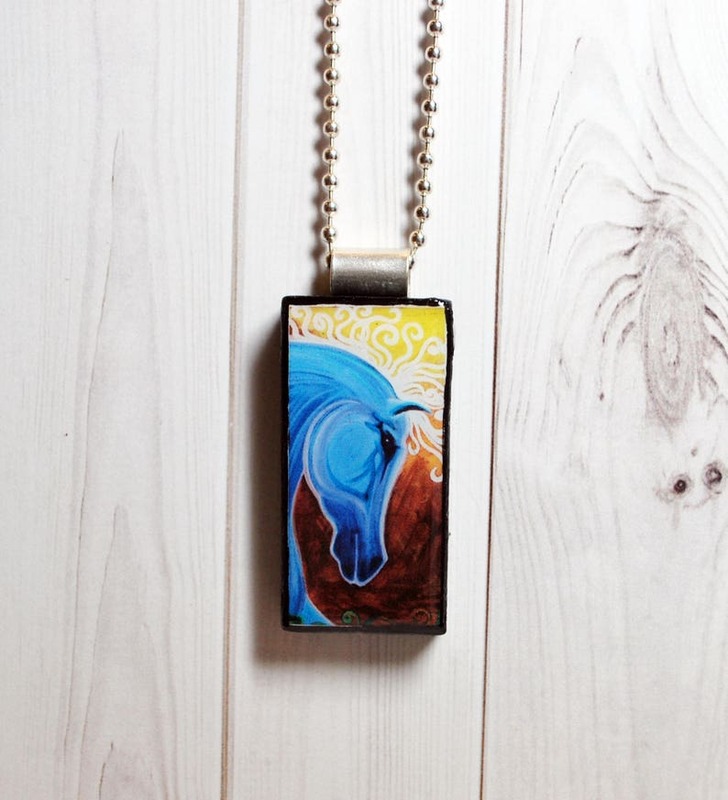 Couldn't resist creating this gorgeous pendant using one of my favorite horse paintings by Laura Barbosa. 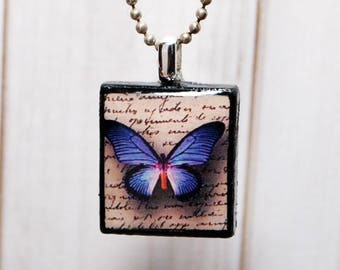 The artwork is reproduced on high quality photo paper and adhered to a repurposed domino pendant. 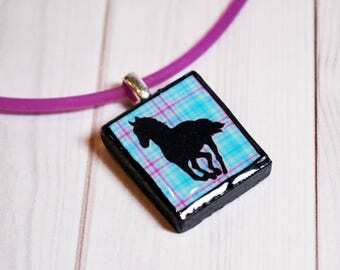 The image is then sealed under a jewelry grade resin, so it will never fade. 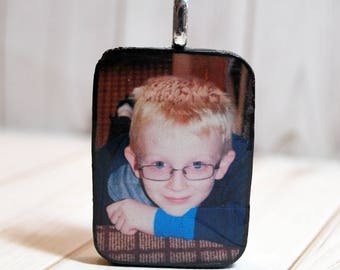 Pendant comes with your choice of a silver plated ball chain, screw clasp black wire or 16"-18" adjustable black ribbon necklace. 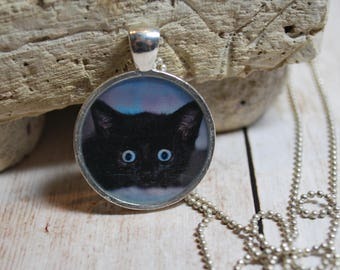 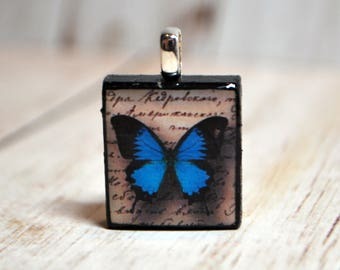 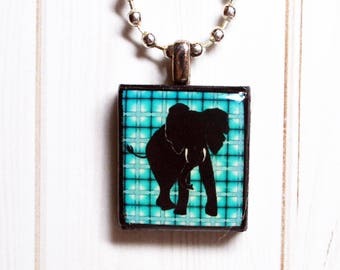 The pictures shown in the listing are those of the actual pendant you will receive. 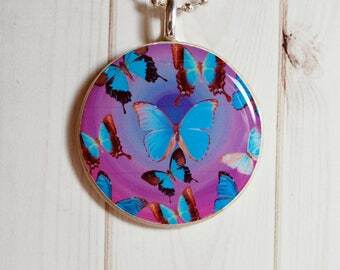 Pendant is water resistant, but not waterproof, so remove before swimming or bathing.